WHy did they lock it?? So is there an official thread for that drama??? lol Thanks very much coolessx3 ..... Actually i did come to that thread.... but i still don't believe that it's the OFFICIAL THREAD.... what........ it's just 5 pages long..... Kim Hyun Joong is so famous ... he could deserve more than that............... I thought it's the new thread not the OFFICIAL THREAD....................... a little bit disappointed........ We should work hard for his thread become more interesting and at least longer lol agree?? so its official that rui => hyungjoon? yeah, i wonder who the main girl will be. won't hj also have a kiss scene then? nooooooooooooooooo... hopefully, the director may really ask his buin to participate as the model girl. and kim bum, i love this guy. he is sooooooooooo good looking, i wish he would be the male lead. O M G. When i first heard of a korean remake i was like, it will definitely be GREAT. I mean korean dramas are better than others for me and i felt that both the other 2 did well and i suppose this will be... OMG! So i have been waiting eagerly for the cast and NOT BAD! MY KIMBUM! MY HYUN JOONG! THEY ARE THE 2 REASONS I MUST WATCH! Fell in love with BUM in eoe and unstoppable high kick. And hyun joong!Love him so MUCH in wgm! I will look forward to the other 2 too! WHOSE THE LUCKY GIRL? Ahra please! Hahaha you just read my mind ldh-ldw lover I love those 2 guy (Kim Bum & Hun Joong) ^^ definitely must watch! Hohoho..all of them really good looking... but who is the female lead... any chance for lovely Eun Hye ? Ah, that must be so perfect if Yoon eun Hye join this super duper casts. yeh did well in goong but no for her this time. I mean. All the boys are younger than her. want someone younger than the boys. Like ahra! Korean aein! OF COURSE MUST WATCH. LOVE THE STORY. LOVE THE CAST! I want them to pick an average looking girl with outstanding acting skills. Ahra and Lee Yeon Hee are too pretty to be Makino. I kinda wish Park Shin Hye will be chosen. ^ agree. i think people mention go ara and lee yeonhee because maybe they're fans or that's all they know. but you're right. she's got to have good acting, and on top of that the PD has to direct this right to pull this off. the girl who played makino in the japn. version - she made the show work. Ahhh... kinda disappointed that Kim Bum's been given a not so important role, because he's such a gem when it comes to acting. Kim Hyun Joong as Rui? HAHAHA.. I think he will do the role justice.. cos he's just as weird as the character Rui in HYD.. altho not as icy cold as Rui.. The guy playing Tsukasa isn't bad either.. he's very good looking..
Never seen him act before.. but according to dramabeans, he's a pretty good? wow! really KIM BUM? haha! didn't expect that! i know that you are really happy! haha! i'm hoping for ARA as MAKINO!! pleeeaassee!! well, she developed her acting skills after GOONG, didn't mean UNKNOWN, what i meant that in the ACTING industry! one comment about KIM BUM being casted i feel that he's a NICE BOY to be compared to the original F4.. but still it's nothing against me. but i feel that Kim Bum's looks is like a NICE GUY look. i was thinking of Kim Hee Chul too.. but i'm excited that Kim Bum can develop he's looks..
what do you mean? surprised with jung ryu won's look, not that DASHING since her face looks kinda thin! Love kim bum & kim hyun joong..... and it's on KBS! yesyes! ohmo! so many people loving khj and kb!!!!!!!!!!! hahah:D we have to give the other 2 attention! 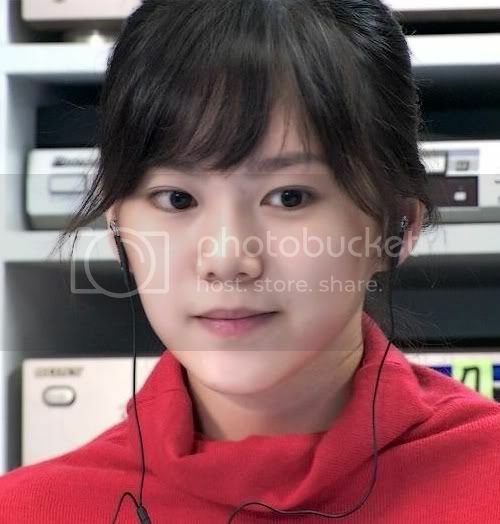 it's from the KOREAN CELEB PHOTOS thread..
Kwok Ji Min.. has been targeted as the makino role.. by netizens.. she's also in the list for the main cast rumor as well..
she was the mean girl in i am sam..
don't know if it's OFFICIAL but rumored..
but it's okay i she would get the role..